Why the euro would make recovery harder: "Yesterday the Bank of England delivered the kind of rate cut that Conservatives have been urging and that our economy needs. The result is that interest rates in the euro area are now 0.5% higher than they are here, and they have fallen far more slowly. So, if we had joined the euro, rates would be higher now than they need to be to stimulate demand in the British economy. If the last decade has taught Gordon Brown anything it should be that you have to keep control of interest rates and monetary policy." "The euro has never been primarily an economic project, it’s a political one. Once you share a currency and a central bank the pressures for closer political union become ever more powerful. We’ve seen those pressures operating over the last few weeks with the concerted attempt to deliver a euro-area spending splurge. Given that we are already borrowing more than any major euro area economy, that would be the wrong solution for Britain. Some euro area politicians have stood up to the pressure – the German finance minister said he wouldn’t join the other “lemmings”. But monetary union will only increase the pressure for closer political union. That’s not what the British people want, and under a Conservative Government they can be confident that it’s not what they’ll get. We fought against joining the euro in the past and we will not join the euro - in the present or the future." I'd make a couple of comments to that which are very relevant too. Firstly, the Eurozone did not act in a single capacity, it actually acted with and on the advice of Gordon Brown. There is no economic magician in the Eurozone nor is there one in Number 10 currently, so there's no doubt that BOTH parties are failing and the recovery will be deep and unnecessary directly as a result of those already failed policies which are not promoting confidence either to Europe or to Britain or anywhere else in the world for that matter. George Osborne's Loan Guarantee Scheme should be be given wholehearted support and he should also start to speak about making tax cuts and refunds to ailing businesses coupled with tax changes which promote growth back into the housing sector and into high street sales. The other comment I'd make is to stop bashing Northern Rock and jumping on the "125% mortgages bandwagon" and saying that led to mass consumer debt when it didn't. Anyone who knows anything about mortgages, knows that Northern Rock's lending criteria was the highest of any lender, it's maximum loan to value was no greater than any other at 95%, and the "unsecured amount" was made available through the Co-operative Bank not through Northern Rock and did not pose lending risk to Northern Rock. Furthermore, those types of mortgages were at higher rates of interest which provided more profit to Northern Rock and gave a lot more flexibility to borrowers than any other mortgage product on the market. Borrowers incidentally which posed NO REAL RISK. The model for passing on those loans into the market was at fault and not necessarily Northern Rock or its former MD Adam Applegarth, yet he took a tumble, NR was nationalised, the FSA's hands were cleaned and the government took control of an otherwise very profitable and productive business and made a right arse of running it by failing to allow it to 'compete' with other lenders which have been supported in precisely the same way by taxpayers yet NOT nationalised. George should get this message across otherwise Northern Rock's recovery will take a whole lot longer than necessary and it isn't doing justice to it or the 3,000 staff who have worked damned hard to make it the strongest mortgage player, formerly with the lowest repossession and default rates, the best products and the most advanced systems and enterprising values than any other lender in the UK until the government took it over. Joining The Eurozone would completely remove our management of the economy, our sovereign right to change our policies to suit our needs, and it would lead us into dictation by the same clowns who sought advice from Gordon Brown ( who's policies are not working ), when panic hit their markets and the Eurozone as they did everywhere else in the world simultaneously. The blame for this crisis doesn't lie with Northern Rock, it's policies, its management or its staff, it rests with the clown who took away the Bank of England's ability to watch what it and other banks ( which have also failed ), were doing in the markets, and instead put an unqualified non-experienced, blind tick boxing regulator in charge which knew nothing about markets beyond which it read in the papers. If that were true Rugfish why did Northern Rock get into the desperate situation it did? Its mortgage book had arrears higher than most normal lenders. There were many lenders not just Northern Rock who relied on ever increasing capital appreciation and lent irresponsibly for short term gain. These people do deserve the abuse being thrown at them in my opinion. "..monetary union will only increase the pressure for closer political union. That’s not what the British people want, and under a Conservative Government they can be confident that it’s not what they’ll get." That starts to sound good on the political union front. The arrears for NR borrowers only became as high as they are AFTER the government took over and forced NR's rates up higher than other lenders. NR's mortgage book once contained some of the LOWEST risk ratio's and default lines of any lender until the government made it impossible for it to compete and demanded that it clawed back it's books. That led to Northern Rock ( the government ), telling ( advising ), existing borrowers to 'take their mortgages elsewhere' without a blind bit of thought as to the personal liabilities of borrowers many of which have / had early redemption charges and in my opinion broke every golden rule of what any person could call 'good advice'. Not only that, but it created a perception that Northern Rock was itself actually failing to a greater extent than other lenders when that is patently a lie. NR if you recall was to that point 'repaying its loan' EARLY. As for the model of fast selling, Northern Rock was no better positioned than any other lender ( which was not under the Bank of England's scrutiny due to Brown's incompetence and lack of knowledge ), and despite this which is a proven fact simply by evidence of all banks ailing due to the same circumstances, Northern Rock has been made scapegoat in order for government to blame. i.e. Their model was not really any different to others and others were bailed out but not nationalised or restricted in their lending practices and forbidden to compete. Labour's daft policies and a blind regulator helped to crash Northern Rock and yet its action with it has been totally different than with other lenders. Incidentally, Alistair Darling has reputedly got a 125% Northern Rock mortgage and many MP's have them too. All I'm saying, is to look at who was REALLY responsible - Brown, for removing the regulator which knew what it was doing, and putting in place a bureaucratic tick box idiot who doesn't and which didn't see ( because it wasn't looking because it was / is incapable ), at the actual practices of shipping vast sums of money out in exchange for financial instruments which contained American poison. ( That's the real problem and not Northern Rock ). A one size fits all policy that the Euro represents does not work and will not work as many times Ireland would have liked interests to be higher and Germany lower. The Euro was not so long ago at a rate of approx 1.51 to the pound every time it gains strength you get the call to join the Euro zone. When one is running a company it is always said the person holding the purse strings controls the company which would mean that on top of eighty per cent of rules governing Britain from Europe they would then be in charge of your money which is more or less game set and match. This reckless lending then cause massive inflation and massive growth which can not be sustained and that brings us to where we are bust and all this time we had a false economy that the useless Brown fuelled and put property out of the reach of good decent hard working young people. The only way to have a strong economy is build on firm foundations We are in the mess we're in precisely because of earlier government interference on Bank of England controls and boom that was not controled. Easy mortgage terms and guarantees contrived a housing boom and irresponsible lending that could not be sustained. The consequences have shaken the foundation of the financial industry. But instead of freeing the market and allowing the errors to be corrected, the government is seducing the economy into a whole new set of errors. That will lead to the next bust. I did also mean to say George Osborne was spot on with his assessment and would lead me to believe he lives in the real World as opposed to the Mickey Mouse World of Zanou Labour. ""We fought against joining the euro in the past and we will not join the euro - in the present or the future."" Thank goodness for that: a very welcome and clear statement. Now then, let's start having some clear statements about HOW a Conservative Government would cut spending to meet the demands of the depression we face. More good sense, simply explained. Another danger of synchronising economies (by sharing currency and policy) is that when a crash/bust comes - it hits everyone at the same time - "the perfect crash". Diversity is good - uniformity is a risk. Britons don`t mind hardship so much if they think the burden is shared evenly, as it was in the last war. We were all in it and had to make the best of it. Foremost among those fortunate to retain their jobs, salaries and pensions are our Members of Parliament. Only a few months ago they proudly announced that they had accepted a below inflation pay increase of 2 per cent. Doesn`t sound much, but it is £1200 on their basic £60,000. A lot of people would have been delighted to receive half that. Why is Osborne playing Labour's agenda? Mandelson takes the plane home from Brussels and immediately, not even a second's delay, the media picks up the euro debate again. It was dead, buried and should have stayed in the grave. Others here rightly highlight our dire economic straits and point the finger of blame firmly at this Labour government. Mandelson, Lord of Spin, wants to deflect that finger. He has done it again with Damian Green - and what outrageous lies he told. Conservatives should stick to the issue worrying every single person in the land. And that is not the euro! As much as I am opposed to the Euro I find George Osborne's sudden fixation on it out of place that gives me a sneaking suspicion he is rather crudely playing to the Conservative EU sceptic gallery in order to try and shore up his position, which in my mind does the opposite, as there are more important messages to get out on the economy, as can be seen by public opinion polls showing they don't blame Gordon Brown and unbelievably 45% think he has handled the financial difficulties well, all a rather damming indictment of the Shadow Treasury team’s ineffectiveness that some utterance on the Euro will do nothing to correct. "That’s not what the British people want, and under a Conservative Government they can be confident that it’s not what they’ll get. We fought against joining the euro in the past and we will not join the euro - in the present or the future." No, Mr Osborne, Unless the Conservatives are prepared to give a categorical manifesto pledge to hold a referendum (and to abide by the results thereof) over whether or not to reject the Lisbon Treaty (or to repeal it, in the event that it has already been ratified by all other member countries), A Conservative Government would have no option but to submit Britain to ever closer EU integration and, ultimately, to the adoption of the euro. Ever closer political integration is precisely what the Lisbon Treaty is all about, albeit cloaked in deliberate obscurity, as is admitted (indeed boasted) by the majority of EU member Heads of State. Admittedly, if Lisbon had been fully ratified before the next GE, it might be impossible for Britain to repeal this treaty unilaterally, whilst still remaining a member of the EU, consequently the referendum could, under such circumstances, also become one over our continued membership. This is clearly why Cameron would never commit himself to such a referendum. The British people have already been cheated once, by Labour and Liberal lies, out of a promised referendum over something which concerns the whole future of this nation. If the Conservatives too are not prepared to trust us with a referendum, why should we trust their assurances Mr Osborn? Unless George had come out fighting on the Euro then the question ( and the spin ) would have moved over to "What is the Tories Policy", and we Tories would be now asking "Why does he not say something". The ONLY reason the Euro has been raised is clearly as a means to DIVIDE Tories over this issue where Labour failed to do so when throwing in spin about George's yacht trip, David's support for that and Damian Green and all of these issues are simply deflection from the real issue which is Brown's incompetence of the economy. Now there's another one coming up with the Speaker's enquiry where a Labour MP is mouthing off about him resigning as if there are no other issues concerning the British public, Peter Haine's return is another. I'm stay on track and hammering Brown and his incompetent handling of the economy and refusing to join Mandelson's black hearted party games. The old Labour cronies are at it again and deviation, spin and lies are their ploys because they have no substance, no policies, no answers for the people and nothing for the country ! They are a FAILED government with a FAILED leader and FAILED policies which are not working. "Labour has done it again"
The EURO is not even a question on the people's lips so good on George to stamp on it quickly. What happens when the political and economic situation is that unsettled, you may not get the answer you expect to hear ? I think the way out of Lisbon is to precisely to do it unilaterally, not have a referendum, act in accordance with the mandate given in a General Election and to remove us into EFTA 'without asking the people'. The NO's cannot argue FOR deeper integration which gives away our sovereignty and the YES's cannot argue we have given it away. Neither side could argue the government hasn't the mandate or the authority and neither side can argue if we decide to keep the bits we like and throw out the bits we don't like. Also, a referendum will give Labour hawks TV feed and they need shutting up not provoking to tell even more lies to con the public. "The Treaty is already dead because it has no democratic support" is good enough for me. Focusing on Browns latest 'stealth tax' (in case you missed it!). How precisely does this 'help' the banks? As a taxpayer you might think I should be pleased that he has come up with such a profitable wheeze - but if the strategy is to save the banks, this isn't going to help... also I have little doubt that any extra money that the treasury receives will be promptly squandered - so do me no gooe anyway. Are you are suggesting that a Conservative (or any) Government would have a mandate to take unilateral action to repeal the Lisbon Treaty and substitute Britain's membership of the EU with that of EFTA even if they had not made this a specific manifesto committment, or even mentioned the EU in their manifesto? Doubtless such a course of action would delight many of us, but I cannot see any Government, other than one standing specifically upon a manifesto to leave the EU, ever even considering leaving the EU without a prior referendum. On the other hand, I have no doubt that the leaders of all three main parties would lean over backwards to avoid a referendum whilst surrendering what little remains of Britain's independence to the EU. I agree with your point Rugfish, that it is by no means certain that a referendum would result in a victory for the eurosceptics. The EU itself would (illegally) spare no expense in promoting a massive europhile propaganda campaign as would, probably, the majority of the modern professional politicians, most of whom see the EU as a means of advancing their political careers , whilst reducing their personal accountability to the electorate. You also say, that the EU and the euro are not in people's minds, which is still true for most of them, however, that is largely due to Cameron's policy of deliberately sidelining EU issues, rather than emphasing their real importance and relevance to the electorate and exposing the fallacy of most of the pro EU arguments. Had Cameron chosen to make euroscepticism a pillar of Conservative policy and emphasised the relevance of this to our everyday lives he would have established a clear difference between the Tories and the other main parties and, I suspect, considerably increased his poll ratings. On that face of it George Osbourne is correct but what he's forgetting is that if Britain was in the Eurozone Brown would not find it so easy to just print money as he is planning to do right now. Have they finalized the design for the hundred billion pound banknote yet? "On that face of it George Osbourne is correct but what he's forgetting is that if Britain was in the Eurozone Brown would not find it so easy to just print money as he is planning to do right now." Yes but at least when Brown is thrown out we will have the opportunity to restore a sound currency. George Osborne what`s to stop worrying about things that are unfortunatly not on the table and start concentrating on coming up with a well thought out economic policy. At the moment it is clear the party just doesn`t have one!! Oh my god, Jack Stone has finally said something that I agree with. I'd better go and have a lay down. To say that you would NEVER join the euro under ANY circumstances is utterly stupid and symbolic of how ideology holds sway over pragmatism within your party. So even if it's proven that keeping out of the eurozone is losing us jobs and keeping businesses away, you'd still oppose joining? What's patriotic about seeing the British economy in decline? Just accept it, the pound will become increasingly volatile when we have a huge currency bloc on our doorstep. Sticking with the pound is unsustainable. Shame on Osborne for being so fundamentalist about it. The ability to control ones currency is fundamental to being an independant nation state Northern Monkey. The fact that you don't care about that, is why Conservatives have to fight you all the way. Jack Stone, why are you a Conservative? Malcolm I am beginning to think your mother should have named you Polly because you definatly resemble a parrot!! "The Bank of England has survived happily for centuries without a bank run or printing money to pay debts. Yet a thick Scot named Broon has managed to achieve all of the aforesaid in just over 10 years. I'm starting to see why the Romans didn't want Scotland as part of their Empire and actively took steps to keep it out. December 6, 2008 7:47 PM"
Theyre both fiat toilet paper currencies backed by a sum total of nothing. I could care less for having the pound or the euro other than the fact it is a political experiment and not an economic one. And for that reason alone we must stay out. "George Osborne says recession would be worse if Britain was in eurozone"
"coming up with a well thought out economic policy. At the moment it is clear the party just doesn`t have one!!" Oh we do, and yes we know that a lot of people will not like it, so we keep our traps closed for now. Come on - labour spin-meisters need to hear tory policies so they have something to say. There is nothing good to say about labour/brown - so unless they are fed some tory lines to attack they may, just, have to answer some telling questions on their policies. What is more signficant news - the actual policies that our governemnt are following to destoy us? ; or some hypothetical polices on the short term measures that will be needed to change the course of our econmy, away from the black hole that labour are heading us towards 'full speed ahead'. Don't muddy the discussion with hypothetical 'what would the tories say' - just keep pointing out that Labour are deeply flawed, that the tories can see those flaws and will construct a detailed plan of how to correct them when they come to power and can clearly see what labour have brought us down to. Actually Iain, you are wrong, what it does show is that the ordinary man-in-the-street is as economically illiterate as Mr. Brown is - well probably more so. And Mr. Brown's lack of economic 'savvy' is NOT my conclusion, it was stated by someone else - whom at the moment I cannot remember a name for! pp @ 13.55 - What you have highlighted is a perfect example of the tortuous way that Brown approaches an idea and formulates policies. It also explains why, as he gets carried away in one of his mental mazes, he doesn't notice or perhaps comprehend the side-effects of the particular conundrum of a policy that he has conjured up - EVEN if it was originally SOMEBODY else's idea - once!!! pp your comment @ 22.36 above is spot-on!! So we keep the real polices under our hat and attack their policies regardless of their merits. Brown is on borrowed time. DAVE is coming and we all know exactly what medicine this nation is in need of. Labour will try to shift the game to our policies, so it better if we do not have big ideas for a while. We can play spin the Laour policy for all its worth. By pointing out what Labour is doing wrong we will be defining our policies and building a consensus for the coming mandate. The Euro isn't on people's lips but in my opinion our membership of Euro-land IS a highly contagious political argument which will eventually divide the entire nation and could result in extreme social and political problems. The Lisbon Treaty was in fact the very thing which ignited my own political interests as it has many millions of other people. That argument will NEVER go away until I'm dead or our sovereignty is returned. I see an "Alliance" is good, and a "Union" is bad. An alliance with Europe is significantly different to a union but it achieves the same. However decisions remain within our own parliament under veto, as would be the case if Blair had not given them away. The problem I see is that the Lisbon Treaty has no democratic mandate and parliament ( in the same way it was invoked ), can over-turn it on that basis. i.e. Parliament doesn't require consent to overturn a treaty which has no democratic mandate AND which is injurious to their sovereignty. In fact it has a DUTY to overturn it ( IMO ), yet there would lie much political argument from Labour if it did. There can be no question that the basis on which we DID join Europe, was mandated by the people and that mandate gave parliament consent to join a Common Market. e.g. EFTA more or less. So it makes sense then that a democratic party such as ourselves could 'roll back the years', but still maintain some parts and some agreements which we happen to be in alignment with on Europe, so that parliament decides the level of integration. Scrapping Lisbon would be a start and there are clear grounds to do so, but once we establish parliamentary authority then parliament can decide to remove the UK to EFTA yet keep enough of what we've agreed in other treaties to pacify the political argument which Labour could otherwise make if taking it all away. What grounds could Labour raise for argument for instance, if We joined EFTA but kept in essence much of what lies in the Lisbon and other Treaties ? Secondly, we could roll back as much as we like, when we like and how we like when socially and politically prudent to do so, so as it stems Labour's reason to argue. In fact by doing that WE would show Labour for what it is on each and every occasion a 'reform' came through the house, as being "Anti-European", for it is ourselves who maintain "The Alliance". This would place THEM into the exact same political shackles they made for us David......."Anti-Alliance", but with the added twist of being "Anti-British", and of course "Anti-Sovereignty", and "Anti-Democratic". We should NEVER join the so-called "eurozone"! Not sure where "NorthernMonkey" gets his facts from. Whatever the source, I don't accept his conclusions! The selling of Brown as a financial Churchill facing down recession is really a joke. Brown was selected a long while back to front European economics initiatives to the Americans - as the USA for some reason believes Britain to be the most influential country in the EU! Brown has accepted the lifebelt thrown to him as his domestic political fortunes were on the mat. The Europeans are going to extract the highest possible price they can for saving Brown's political skin, however, and are buzzing with excitement that Brown might be arm-twisted into pushing Britain into the Euro. World recovery written in Downing St by St Gordon? Wrong. Merely more treachery from a British PM in desperate circumstances looking to further his career through his European connections, by selling out his country while in power. I won't make any comments about the euro and whether or not it can create problems. 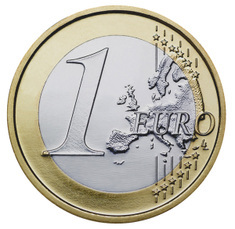 But I will say that Britain should not adopt the euro for one main reason: it would move the country closer into the EU, rather than out -- which is where Britain should be headed. If this global crisis has shown us anything, it's that the connectedness stemming from globalisation, or membership of the EU, has acted in this case like a nutrient base through which the virus was spread. Besides, tying one's currency to a foreign central bank, which adopting the euro would entail for Britain, makes the country less sovereign, and thus less flexible in acting in times of crisis. I don’t know if it could be worse. After all we have borrowed a ridiculous amount of money not only individually but also collectively (thanks to Gordon Brown). The housing bubble was out of control for at least 3 years before the inevitable crash. I don’t recall hearing anyone of the so say responsible parties, saying that the brakes needed to be put on. This is why I don’t think it could have been worse. It proves once and for all that this country is in decline, and worse nobody is currently in charge; or on top of the problem. It could not be worse because it has yet to really bite. It could not be worse because the pound is in freefall, and we have yet to see how far it will fall (parity with the Euro by March?) It could not be worse because an incompetent administration is operating a slash and burn policy in regard of the economy. It could not be worse because we are no longer an independent nation state, who can set its own direction. To be fair to George he is only dealing with a very small part of the overall picture in his speech and I do agree that it would be worse if we didn’t have sterling to fall back on.